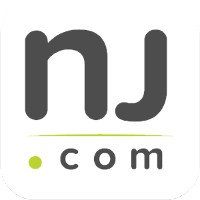 Quoted in the Bergen Record as an authority on gun rights and gun laws in New Jersey in April 2018. Christopher P. Perry, Esq. holds undergraduate and graduate degrees from the John Jay College of Criminal Justice and is a graduate of the Seton Hall University School of Law. 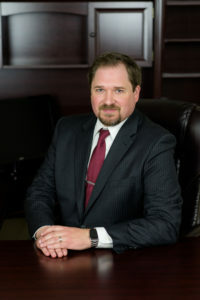 Following an internship with a Bergen County Superior Court Judge in the Civil Division, Mr. Perry served as Law Clerk to a Criminal Division Judge in Bergen county, where he was exposed to a wide range of cases, including Homicide, Firearms offenses, Sexual offenses, and Drug offenses. He assisted the Court in the resolution of hundreds of cases that included Post-Conviction Relief Petitions, Municipal Court Appeals, and all kind of Motions brought before the Court. Following his Judicial Clerkship, Mr. Perry joined the Tormey Law Firm, where he enjoyed immediate success defending individuals throughout the State of New Jersey, including those charged with offenses such as Racketeering, Credit Card Fraud, Drug Distribution, Illegal Possession of Firearms, Aggravated Assault, Terroristic Threats, and numerous Municipal Court offenses and DWIs. Additionally, he has successfully defended many clients served with Domestic Violence Restraining Orders through trial. NOTE: Mr. Perry has successfully handled a number of weapons possession cases in Bergen and Essex County by resolving them through the Pre-Trial Intervention (PTI) program or probation. In addition, Mr. Perry argued a motion to suppress illegally seized handgun in Jersey City and the case was dismissed. Mr. Perry continues to aggressively and zealously defend individuals charged with all types of criminal offenses throughout New Jersey. Through continued legal education classes, he remains on the leading edge of new law and cases that affect his clients and their cases, often finding new ways to defend his clients due to changes in the law or new cases decided by the Courts. Mr. Perry and the Tormey Law Firm are able to stay agile and provide the best possible defense to clients while giving each the individualized attention required to get the best possible outcome for each case.